The British, German, Dutch and French embassies in Yemen will be closed over 'increased security concerns', the European countries have announced. They blamed an 'increased threat' from Al-Qaeda. The White House has announced that that President Obama has been briefed on the threat and preparedness of US embassies, after security officials met to assess the risk levels. Led by the national security adviser, Susan Rice, the meeting was also attended by the secretaries of state, defence and head of homeland security and as well as the FBI and CIA. France will close its embassy in Yemen for several days, while Germany and Britain will close theirs for two days on Sunday and Monday. 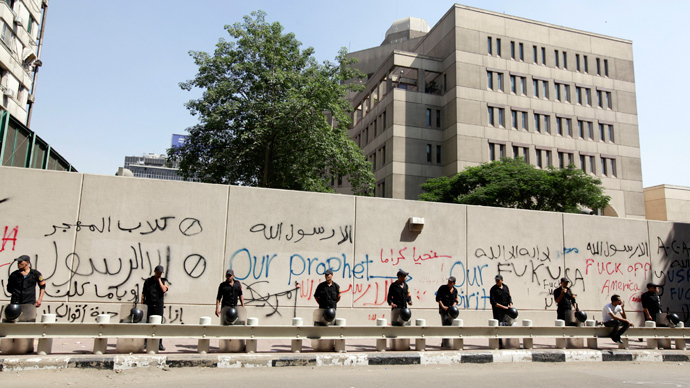 Previously the French Foreign Ministry has said that the Embassy would only be shut on Sunday. "We are informed directly and indirectly of threats concerning our installations overseas and even our nationals, threats coming from al-Qaida," the French President Hollande said Saturday. "The decision was made for security reasons because of a threat that was considered elevated," a spokesman for the French Foreign Ministry said. Germany also warned its citizens from traveling to the country and that the situation there "is uncertain in the future". 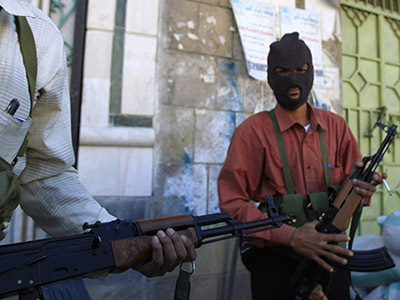 The British embassy in Yemen will close temporarily after escalating violence and terrorist threats, the Foreign Office said Friday. 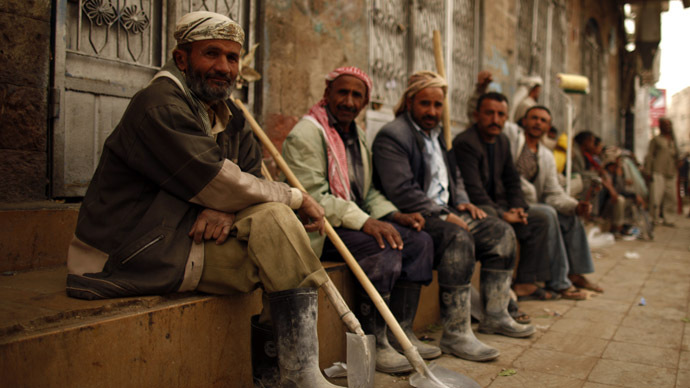 While the Embassy will operate with an “essential staff,” all other British citizens were advised to leave Yemen. The British announced the precautionary measures after the United States issued a worldwide travel alert, citing the intelligence indicating Al-Qaeda terrorists may be planning attack somewhere in the Middle East or Africa. The threat did not identify a specific target but applied more broadly to Western interests in the region, US security sources told Reuters. 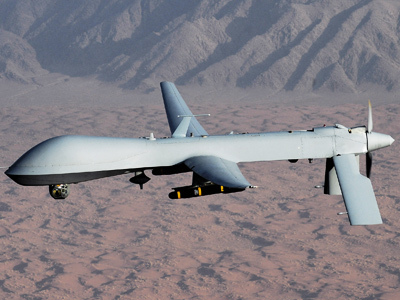 Al-Qaeda’s affiliate group in the Arabian Peninsula, known as AQAP, is reported to be behind the reported plans. “The threat appears to be much worse than it has in a long time,” an unnamed Yemeni official told CNN. Sources indicated that an attack was in the final planning stages as the final days of Ramadan, the Muslim holiday, are approaching. “Current information suggest that’s Al-Qaeda and affiliated organizations continue to plan terrorist attacks in both the region and beyond, and that they may focus efforts to conduct attacks in the period between now and the end of August,” the US State Department’s travel alert warned. It is alleged that the grounds for closure are based on intercepted communications between senior Al-Qaeda operatives, The New York Times reported. “There is a significant threat stream and we’re reacting to it,” Joint Chiefs Chairman General Martin Dempsey told ABC News’ This Week, describing the threat as “more specific” than previous threats. Potential threats against the US and allies also include public transportation systems and tourists sites. 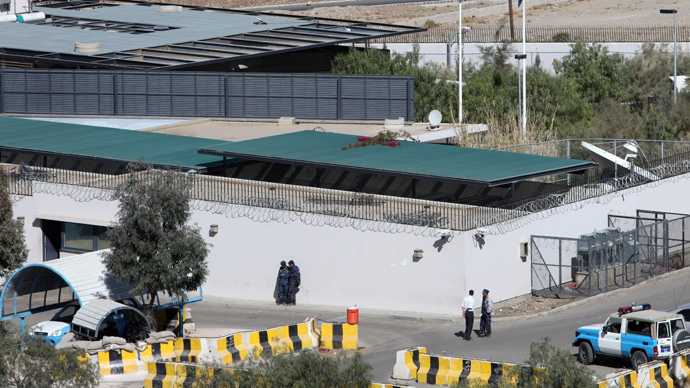 The British Foreign Office, which announced the Sana’a embassy would be closed from August 4 to 5, is in close contact with US officials. Meanwhile, US embassies will be closed in Afghanistan, Algeria, Bahrain, Bangladesh, Djibouti, Egypt, Iraq, Jordan, Kuwait, Libya, Mauritania, Oman, Qatar, Saudi Arabia, Sudan, the United Arab Emirates and Yemen. Canada meanwhile has announced that its embassy in Dhaka, Bangladesh would be closed on Sunday for the “safety and security of our personnel.” The Dutch embassy will also be closed on Sunday, according to Al Jazeera.